Alicia Quinn Designs is a hand crafted jewelry company that is “Making Nature Jewelry with Respect to Nature”. This company uses eco-friendly products only. 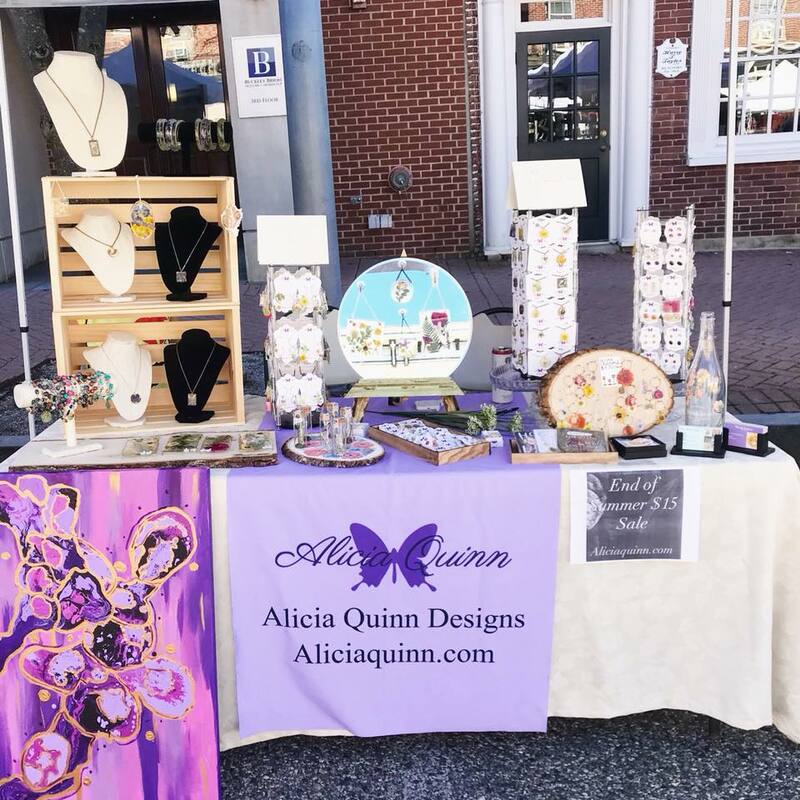 Products used to make Alicia Quinn Designs jewelry include a plant based epoxy that is safe for the environment and the artist, real flowers grown in nature that are hand-picked and dried to preserve the natural color and non-toxic earth clay that dries naturally. Alicia Quinn Designs also works with hand made natural earth pigments and recycled metals. Alicia is a new perspective on nature. She is a preserver of organic beauty. Alicia is a product designer and inventor. She combines research and science to create new products that respect earth and the environment. Alicia is a fine artist that experiments painting with new media. She is currently in school to receive her Bachelors of Fine Arts at Parsons School of Design in NYC. . Becoming a fine artist in 2015, Alicia’s work has been featured and sold in. -Turks Head Music Festival Sunday, July 15th 2018. -Kennett Square First Friday Market Friday, August 3rd 2018. -39th Annual Chester County Restaurant Festival September 16th 2018. - Byrsa Bistro Restaurant and Winery.